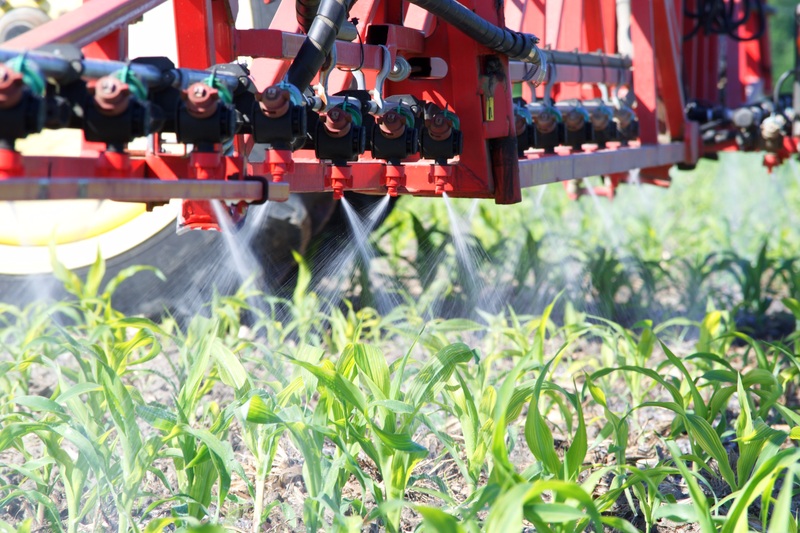 Herbicides are designed to control weeds in specific crops. Even if the crops are tolerant to the herbicide, they are still negatively affected due to their inability to rapidly detoxify the herbicide. Leaf chlorosis (yellowing) and stem twisting are some of the most common symptoms. Even though more than two thirds of Canadian farmers apply herbicides (as per Stats Canada, 2013 data), few studies have looked into the impact of herbicide phytotoxicity on crop yield. Still less have delved into alleviating this stress. It is for this reason Dr Don Smith and his research team from McGill University, in Montreal, are working on herbicide stress. Since 2015, they have been studying the impact of herbicide phytotoxicity on corn, soybean and wheat yield. Early results confirm the impact of the herbicide stress is real. They have also shown it can be mitigated by biostimulants. To quantify this stress effect, Dr Smith’s team is looking specifically into photosynthetic rate of plants. Photosynthetic rate is closely related to crop growth and development. In field trials, plants treated with herbicides were compared to plants treated with a mix of herbicides and biostimulant. Herbicides used were bromoxynil/MCPA and glyphosate plus atrazine/dicamba in wheat and corn; glyphosate and chlorimuron ethyl in soybean. The biostimulants applied were Axter’s CropBooster 2.0 for corn and wheat, and Axter’s RR SoyBooster 2.0 for soybean. For all three years of trials (2015, 2016 and 2017), the photosynthetic rate of plants treated with a herbicides-biostimulant mix recovered better than that of plants treated with herbicides only. These findings apply to all three crops. As for crops yields, the number of replications was not high enough to get statistically significant results. However, researchers report that rankings frequently showed that productivity of plants treated with herbicides plus a biostimulant was numerically greater than that of plants treated with herbicides alone. They concluded that a greater number of replication might have produced statistically significant results.